Physical neural network; recycling Li-ion batteries; flexible supercapacitor. Engineers at UCLA built a physical artificial neural network capable of identifying objects as light passes through a series of 3D printed polymer layers. Called a “diffractive deep neural network,” it uses the light bouncing from the object itself to identify that object, a process that consumes no energy and is faster than traditional computer-based methods of image identification. The device could accurately identify handwritten numbers and items of clothing, two commonly used tests in artificial intelligence studies, in experiments where the researchers placed images in front of a terahertz light source and let the device “see” those images through optical diffraction. They also trained the device to act as a lens that projects the image of an object placed in front of the optical network to the other side of it. 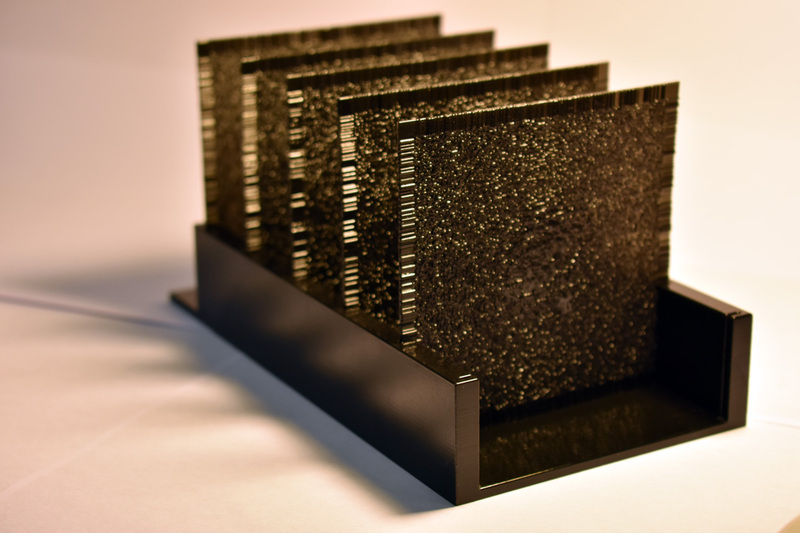 Because its components can be created by a 3D printer, the artificial neural network can be made with larger and additional layers, the team said, resulting in a device with hundreds of millions of artificial neurons. Those bigger devices could identify many more objects at the same time or perform more complex data analysis. The components can be made inexpensively — the device created by the UCLA team could be reproduced for less than $50. Researchers at Michigan Technological University adapted 20th century mining technologies used to separate metal from ore to improve lithium-ion battery recycling. The process is also inexpensive and energy efficient. After trying a range of solvents to liberate the different chemicals, the team turned to water and kerosene. “We use standard gravity separations to separate copper from aluminum, and we use froth flotation to recover critical materials, including graphite, lithium and cobalt. These mining technologies are the cheapest available, and the infrastructure to implement them already exists,” said Lei Pan, an assistant professor of chemical engineering at Michigan Technological University. Froth floatation separates hydrophobic and hydrophilic materials. The process involves crushing or grinding a combined material, which is added to water to form a slurry. A collector chemical, in this case kerosene, is added to make the desired material hydrophobic. The slurry is aerated, producing air bubbles to which the hydrophobic material attaches as they rise to the top, forming a froth. The materials remaining in the slurry are referred to as tails or tailings. In their experiments, the team found that over 90% of anode materials were floated in froth layers, while 10–30% of cathode materials were floated. Researchers from the University of Glasgow developed a promising new type of graphene supercapacitor, which they think shows promise for use in the next generation of wearable health sensors. The new supercapacitor uses layers of flexible, three-dimensional porous foam formed from graphene and silver to produce a device capable of storing and releasing around three times more power than any similar flexible supercapacitor. In demonstrations, the supercapacitor was capable of providing power across 25,000 charging and discharging cycles with 68% capacitance retention. Additionally, the observed energy and power densities were found to be better than the values reported for carbon-based supercapacitors. 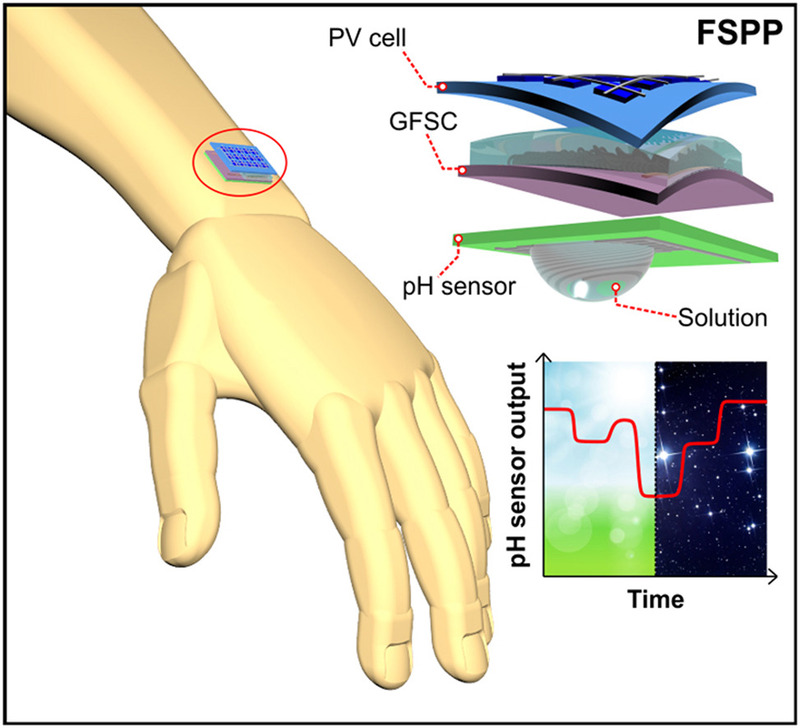 The team integrated this supercapacitor with a flexible solar cell ‘skin’, one of the group’s previous developments, effectively creating an entirely self-charging system that was used to power a pH sensor which uses a wearer’s sweat to monitor their health. “We’re very pleased by the progress this new form of solar-powered supercapacitor represents. A flexible, wearable health monitoring system which only requires exposure to sunlight to charge has a lot of obvious commercial appeal, but the underlying technology has a great deal of additional potential,” said Ravinder Dahiya, a professor at the University of Glasgow.